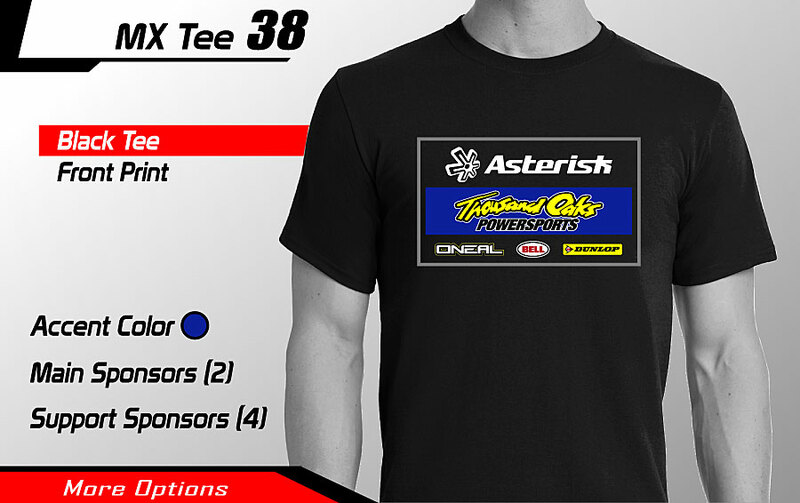 Custom Motocross Black T-Shirts - 100% preshrunk heavyweight cotton, Front side print only. Choose your quantity and sizes below. Customize - Number, Accent Color 2 Main Sponsor Logos & 4 Support Sponsor Logos. NEW - Add Jersey Style name & number on back. Add 3 sleeve sponsor logos.